The Centers for Disease Control and Prevention (CDC) published a pair of reports indicating that there is inadequate screening for HIV in persons at higher risk for infection in the US, and that providers are not offering the test to many of their at-risk patients. The investigators accessed data from the General Social Survey (GSS), a biennial, household-based, multistage probability survey of non-institutionalized adults ≥18 years of age in the US, which included questions about HIV-related risk behaviors and testing. Marc Pitasi, MPH, Division of HIV/AID Prevention, National Center for HIV/AIDS, Viral Hepatitis, STD and TB Prevention, CDC, and colleagues considered the interval since last HIV test among persons with recent risk for HIV infection, in survey data from 2006 to 2016. "Findings from this analysis suggest that HIV screening frequency for persons with recent HIV risk is suboptimal and has not improved substantially since 2006," Pitasi and colleagues wrote. Pitasi and colleagues found that only 39.6% of adults in the US have ever been tested for HIV. This low prevalence, they note, is at odds with the CDC 2006 recommendations which removed criteria of behavioral risk-based screening and call for routine screening in all persons aged 13-64 years of age, and annual screening of those at higher risk. In further contrast to the recommendation, the survey data reveal a median interval since last test of almost 3 years. The median interval in the at-risk group was 1.4 years, and only 62.2% of persons who reported HIV-related risk behaviors in the past 12 months had ever been tested. "It is important that health care providers and public health practitioners intensify efforts to identify persons with ongoing risk and ensure they are engaged in annual screening for HIV infection," Pitasi and colleagues urged. 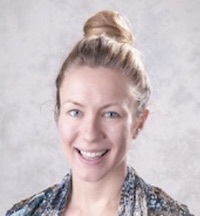 The factors that could influence how providers fulfill their role in extending HIV testing services to at-risk heterosexual patients were investigated by Karen Diepstra, MPH, and colleagues at the Virginia Department of Health, and at Eastern Virginia Medical School, Norfolk Virginia. They accessed data from the National HIV Behavioral Surveillance (NHHS) from Virginia, drawing from the sample of 333 persons who had visited a health care provider in the 12 months before their NHBS interview. In their study, issued 1 week after Pitasi and colleagues found that 1/3 of surveyed at-risk patients were not tested, Diepstra and colleagues reported that only 42% of their study population had ever received an HIV test offer from their health care provider. Further, among those who reported not receiving an HIV test offer, 80% reported high-risk sexual activity and 37% reported never having had an HIV test in their lifetime. Diestra and colleagues identified several variables that were predictive of whether an HIV test was offered, including gender, age, health insurance coverage, and non-injection drug use. They noted that HIV test offer prevalence was lower among men than women and among persons without health insurance than among those with insurance coverage. "Provider-initiated HIV test offers are an important strategy for increasing HIV testing among heterosexual populations," Diestra and colleagues observed. "There is a need for increased provider-initiated HIV screening among heterosexual adults who are at risk for acquiring HIV, especially men, who were less likely than women to be offered HIV screening in this study." The report on HIV testing interval was published in the CDC Morbidity and Mortality Weekly Report (MMWR) June 22, and the study of prevalence and predictors of provider-initiated HIV test offers was published in the June 29 MMWR.